Railpictures.ca - RLHH3403 Photo: CN 331 rounds the curve east of Denfield Rd, with an old SD50AF demo unit in the lead. | Railpictures.ca – Canadian Railway Photography – photographie ferroviaire Canadienne. Copyright Notice: This image ©RLHH3403 all rights reserved. 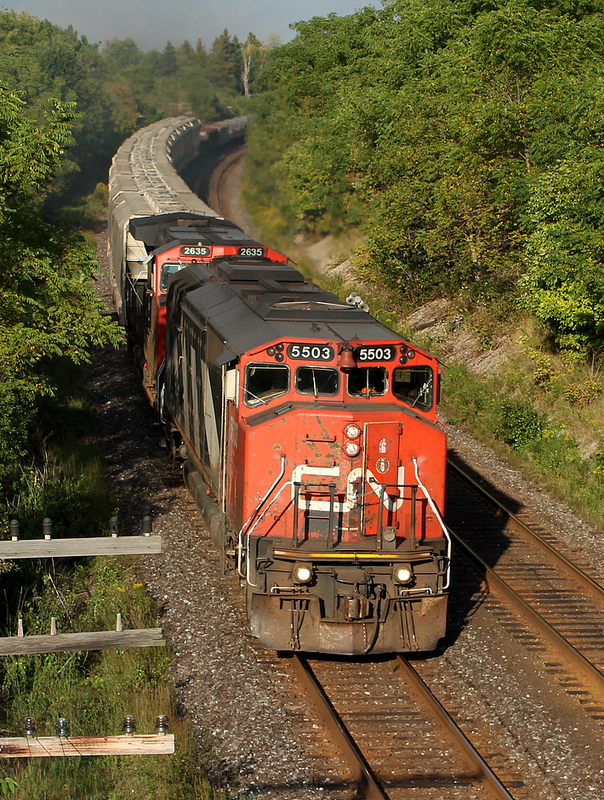 Caption: CN 331 rounds the curve east of Denfield Rd, with an old SD50AF demo unit in the lead.